When I wrote about the Architect/Masterbuilder in Part 3 of my series Bridging to your Destiny, I discussed the role of the arxitekton – the one who ‘sees’ the dream/vision/prophetic word and translates it into a blueprint for others to follow. Architects know how the project should look and function. Apostolic Leaders need Structural Engineers to carry out the work. To execute His plan, God calls, anoints, and appoints people to be his voice and hands to tend and take dominion on earth. These chosen people function as Masterbuilders and Structural (or Civil) Engineers. Those who are anointed and trained to oversee the building of his Original Intent. We could call Adam and Eve Structural Engineers for the Garden. God tasked them to bring order, subdue chaos, and rule in the Garden he had designed. Jesus trained the disciples to be Architect/MasterBuilders and Structural Engineers to establish the Church. Often both jobs fall to the same person. However, part of the Apostle’s job is to look for and train Structural Engineers whom they can task with building the Church in cities and nations. Then the apostles can move on to the next city or nation. In the Old Testament, Nehemiah is an excellent example of a Structural Engineer. Even though the enemy had destroyed Jerusalem, Nehemiah could use the same design outline of the city and some of the materials. God anointed Nehemiah with a passion and wisdom to lead the reconstruction. Structural Engineers are forward thinking. They anticipate problems, meditate on ideas, discuss solutions with experts, and prepare answers in the event of a problem. Since they expect problems or needs to appear at any moment, they are not amazed when it happens! They are quick to face the issue and make changes. They are not intimidated. 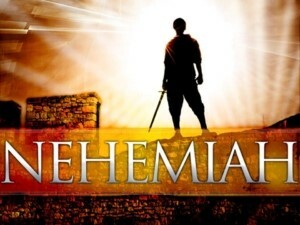 Nehemiah faced opposition and ridicule from Sanballat and Company even before he arrived in Jerusalem. Sanballat had not even seen Nehemiah, but he knew a major change was on the way! When Nehemiah heard that “Sanballat was very angry and flew into a rage and mocked the Jews,” he immediately issued a powerful warfare prayer (Neh. 4:4-5) – and proceed on with the rebuilding. The success of any project is challenged during crisis and changing needs. LeaderAchievers must demonstrate great maturity and humility in order to work well together to overcome obstacles and solve problems. Structural Engineers must handle the challenges and changes with wisdom and maturity. This requires training, experience, and a humble attitude. It is a team effort. No one can claim ‘territory’ or ‘rights’ when the project is in motion. Egos can sabotage a great work! To get the job done requires honor and humility. I watched my Father deal with enormous problems when I worked with him as a structural ironworker on the Verrazano Narrows Bridge in New York. He oversaw hundreds of men as the Superintendent for U.S. Steel during the building of the bridge. My Father actually studied engineering so he could understand the what, why, and how of the project. This knowledge and wisdom prepared him to be a better leader and problem solver. He used it every day. Occasionally accidents happened involving men who lacked humility, wisdom, and cooperation. Men with big egos who did not consider what they were doing. Some lost their lives, some lost their fingers, and some lost their incomes. Accidents cause delay. Delay costs money. Sometimes re-engineering is required – and that can cost millions of dollars and considerable time. I see the same problems happen in churches. Big egos with small humility get in the way of good planning accompanied by seeking and accepting expert advice. Arrogant or weak leadership leads to church splits, the loss of respect and whatever influence the church might have in the community. However, the worse disgrace is on the name of Christ! Humility and loyalty are often more important than experience. We can train people to operate equipment, bolt steel together, or pour cement. We cannot train people to be humble or loyal. This takes internal character developed from a deep relationship with God and those who mentor them. Nehemiah was a Hebrew slave who trained in a foreign King’s Court and gained experience serving as cup bearer to the King. With humility (the willingness to defer to others and learn) comes wisdom and discernment! We cannot train wisdom. It often takes experience doing the wrong thing at the wrong time in the wrong way. Then one needs a great overriding desire to prevent it from happening again! “And He Himself gave some to be apostles, some prophets, some evangelists, and some pastors and teachers, for the equipping of the saints for the work of ministry, for the edifying of the body of Christ, till we all come to the unity of the faith and of the knowledge of the Son of God, to a perfect man, to the measure of the stature of the fullness of Christ” (Ephesians 4:11-12). The Apostle Paul mentored Timothy and others to be Structural Engineers to build churches. Paul gave them the blueprint and wisdom for the work and taught him how to handle the obstacles. “Paul, an apostle of Jesus Christ, by the commandment of God our Savior and the Lord Jesus Christ, our hope, To Timothy, a true son in the faith: Grace, mercy, and peace from God our Father and Jesus Christ our Lord. As I urged you when I went into Macedonia—remain in Ephesus that you may charge some that they teach no other doctrine, nor give heed to fables and endless genealogies, which cause disputes rather than godly edification, which is in faith…. Now the purpose of the commandment is love from a pure heart, from a good conscience, and from sincere faith, from which some, having strayed, have turned aside to idle talk, desiring to be teachers of the law, understanding neither what they say nor the things which they affirm…” (1 Timothy 1:1-7). Adhering to the MasterBuilder’s training often turns Structural Engineers into Apostolic Leaders… who then mentor new Structural Engineers. So…What are you called to build? What role is your assignment? What MasterBuilder/Architect do you relate to and work with? My prayer is for humility and wisdom to grow large in your heart and lead you to achieve all that God has designed for you!